Julius-K9® Y-Belts from stock! 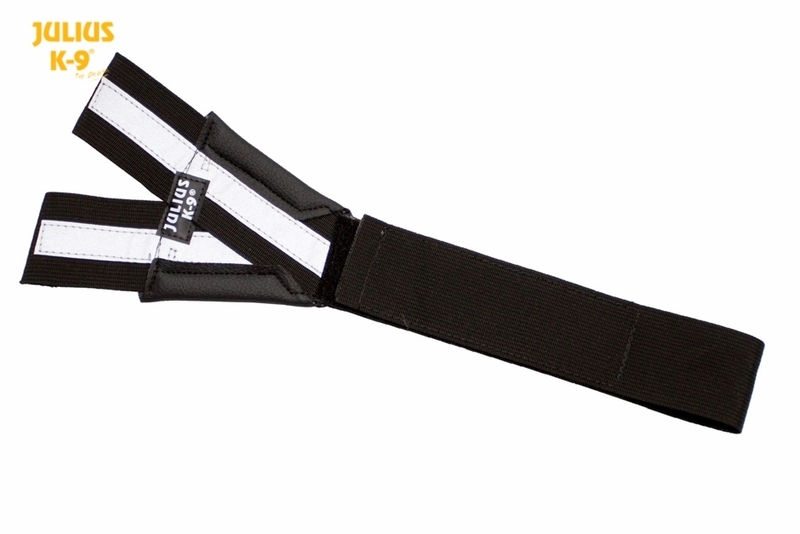 - Las Vegas K9 Inc.
-Connects the chest strap and the abdomen part of the harness and allows for optimal pressure distribution. -Easy to adjust or remove thanks to hook and loop straps. -Recommended for car trips, and working or service dogs. With the reflective Y-belt you can make an IDC® or K9-Powerharness even more comfortable for your dog. It connects chest strap and abdomen part of the harness, and grants an optimal pressure distribution. It’s easy to fix or remove thanks to the Velcro straps. It’s recommended for car trips and working- or service dogs. What is the solution if your dog can escape from the harness? The dog doesn’t like to be leashed, pulled back and forth, and held back. He can not escape if he run forward, so he tries it backwards. If your dog has a harness, you can use the following method. Put the harness on the dog, pull the strap tight – the best is if there is room for one finger between the dog’s body and the harness, but no more. Let’s start walking, and if the dog starts to go backwards to escape, pull the leash and say ‘no’. In the next moment let the leash to be loose, and treat your dog. If the dog starts to panic, he can not escape backwards if you don’t pull the leash. You can control your dog with small tugs perfectly. With a dominant or panicked dog use your voice to calm him down and show the right direction. It’s obvious that with a shy dog the best method is the calming voice and some treats, but sometimes it can be helpful to work with a dog trainer on double leash: one on the collar, one on the harness.